Macduff Scotch Whisky Distillery was built in 1962 and is located in the Speyside region of Scotland. 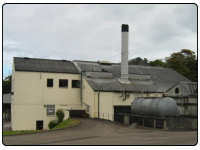 The main single malt whisky that the distillery produces is Glen Deveron Single Malt Whisky. The contact details for the distillery is Macduff Distillery, Banff, Banffshire, AB4 3JT and the telephone number is +44 (0)1261 812612.